On Failure and On Success (3/17 through 3/28) - It took a lot of soul-searching to give myself such a brutal appraisal in this two-week series. I hope it inspires you to do the same. The 52 Teachers, 52 Lessons project kept going strong this month, and I started another new project: fundraising for the Avon Walk for Breast Cancer. 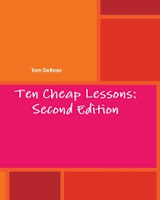 Read the post to find out how you can get a digital copy of my book Ten Cheap Lessons! If you like this site, the best ways to support it are to subscribe to my RSS feed, become a Follower (click Follow on the sidebar), and to share links on your blog or favorite social bookmarking site (click the "Share" button below for some quick and easy options). A huge thank you to the anonymous blogger of Teaching Music, who submitted this today and helped us keep this great project going without interuption. Something I wish I had realized when I started teaching was that I needed to trust my education and training. I entered the profession with great ideas about positive discipline. But the general attitudes of other teachers I worked with seemed to be more traditional. I let that culture pressure me into being more negative, and sometimes into feeling like I should yell at the students (and doing so). Thankfully, I realized that it was ineffective, and not something I was comfortable with. I started implementing my own discipline ideas again. This has been my best year as far as classroom management, allowing me to really love teaching my students. Additionally, the administration has been studying discipline and the whole staff is working on ways to be more positive, something I am experienced in. So, while it is a good idea to ask for ideas and advice from others when you're new, also realize what you may have more current knowledge in and what you're passionate about. Pick and choose what you borrow, instead of just trying to fit in. Read more about this project here or add the 52 teachers 52 lessons tag to your favorites. Email your entries to teachforeverATgmailDOTcom. Week 12 will be posted next Monday, April 6th. This is the final part of a two-week series on my five biggest successes and failures as a teacher this year. This week was focused solely on success. There was a time early in my career when I brought almost all of my work home every day. I had an interactive student notebook system that required constant grading, and I still remember loading up 100 or so notebooks into my car and driving them home. I spent hours on those and every other student paper that came across my desk. It's no wonder I got a stomach ulcer my first year of teaching. In my second teaching job, at an alternative school, I learned that it was possible to complete all of my work at school. I was always given more than enough time to do everything I needed, even with all of the additional responsibilities that come with working in a small school. I went from taking everything home to nothing at all. 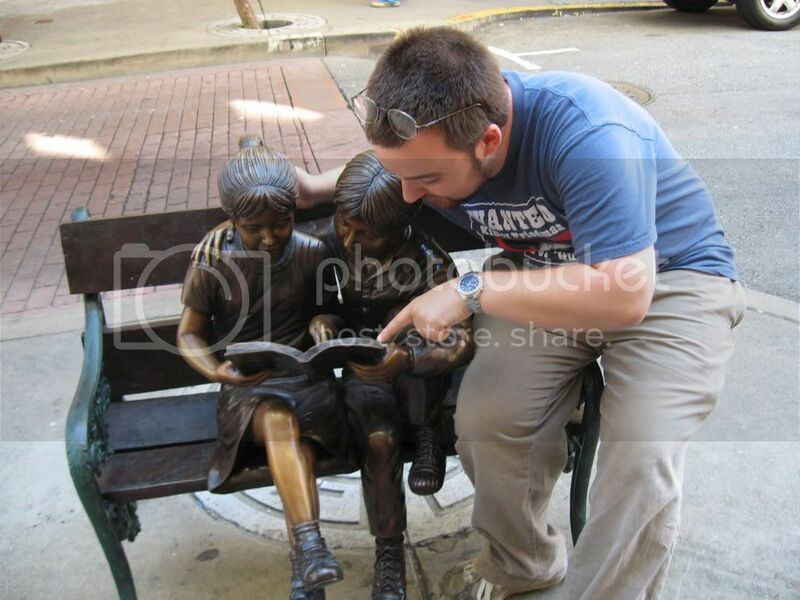 When I returned to a traditional public school after that, I started to fall back into my old habits. I went back to hauling a cardboard filing box to and from school each day. What's worse is that I was increasingly bringing tons of stuff home only to bring it back the next day without ever having looked at it. I realized the insanity of the situation, and forced myself to stop. I found ways to use my time in school more efficiently, and adopted grading methods and policies that would keep me sane while still insuring student achievement. This year is the culmination of years of effort and self-therapy: I am now able to do almost all of my work within the normal school day. I may carry the emotional burden of each day home with me, but my bag now carries only the weight of a notebook for ideas and some reading material for my commute. I've even been able to cut down on going to work hours early or staying late. Admittedly, one reason is our longer school day, which has a lot of planning time built in. Yet even when I've had less planning time in the past, I would often invent ways to keep myself busy and spend so much time in my classroom that I might as well have brought in a cot. It's a huge personal victory to leave my work at work without constantly fretting over it and while still being (I'd like to think) a pretty darn good teacher. Achieving a work/life balance starts with not bringing your work home. This is part of a two-week series on my five biggest successes and failures as a teacher this year. This week is focused solely on success. This year has been a true test of faith. Teaching at a high school designed for young people who haven't been successful at their former schools for every reason you can think of (truancy, misbehavior, drugs, fighting, legal issues, no support at home) has been a challenge to say the least. While for the I've dealt with almost all of these issues amongst my students before, I guess I just wasn't fully prepared to face a population where everybody has serious issues. It was stressful, but so has every year I have taught. It's the paradox I've wrestled with since I started in this profession: my passion is what makes me a good teacher, but it also leaves me completely frustrated when I feel things aren't working. It's my greatest strength, but also my greatest flaw. Whether that is mostly to blame or not, I don't know, but I can say this: this is the first year I have ever seriously considered not wanting to teach the following year. If you had caught me at my lowest point, sometime during the first semester, I was not only done with this school, but school in general. It was painful to even think about, because teaching is all I know. It's all I've ever done. Could I really go work anywhere else without losing my mind? Eventually, I talked myself out of it. For one thing, there were other problems that needed to be solved that were making things harder than they needed to be. A lot of it was completely outside of the classroom, and shouldn't have been allowed to creep inside it. A recent project of looking through all of my teaching records and digitizing most of it also gave me quite a bit of perspective. I've been through much more bad times than I could remember, but I didn't let that stop me. I've kept meticulous records of everything from daily logs of student behavior to end of year survey results in order to help me keep some perspective. I knew after looking at everything that I had done too much good to let it all go so easily. Secondly, as silly as it may seem to some of you, one of the things that turned me around was thinking about this blog. How could someone who had the audacity to declare "I want to teach forever," in a public space with hundreds of loyal readers just up and decide to quit? I'd be something I think most people fear becoming: a grade-A hypocrite. Worse yet, I would become just another statistic, lost among the 50% of teachers who leave the profession after five years. I take great pride in having proven that stereotype wrong, and here I was trying to make it true. What would I say to the teachers who emailed me to tell me how my blog had inspired them? Or those who purchased my book and sent me their praise? What about all of my former students who shared the same sentiments? It was too much to give up. This is what I was born to do. So not only have I survived yet another challenging year of teaching, I will continue to do so for as long as I can. That is as big a success as any I'll have this year. I still want to teach forever! Early in my career, as I struggled to learn my craft, I would often get down on myself (not surprising from someone who just published a week-long list of failures for the world to see). At the end of my first year of teaching, I forced myself to make a list of "Good Things I Accomplished" to remind myself of all the good things I was doing that I still have. I included lists of students who made huge improvements, that I built strong relationships with, and even a group of students who didn't like history before taking my class. I was happy that I had pushed my students towards great success on our benchmarks and standardized test, but most importantly "my dedication to what's best for my students, not the administration". The list of students in whom I helped facilitate a genuine positive change became a staple in each subsequent "good things" list I did. This year has been my most challenging, and I need to remind myself of the good I'm doing now in order to keep myself going. are brilliant and continue to excel in my class. have told me they didn't understand math much before my class. never passed math before taking my class. received their first A in math from me. have sincerely thanked me for helping them one-on-one or in general. came to school just because they didn't want to miss my class. call me their favorite teacher even though I don't have them in class! have failed or lost credit due to absences but are now passing. aren't satisfied even with a 98 average! told me I was responsible for teaching them what they needed to finally pass the MCAS. I admit that I don't feel like I've made a difference to as many students as I believe I did in years past, but I would be lying to myself if I didn't also admit some success this year. Take stock of all the good things you've accomplished this year--it will be a longer list than you think! I'll be the first to admit that I abandoned many successful elements of my past classrooms this year. I also didn't have much experience teaching Algebra II beyond a stint at an alternative school, so I didn't have the wealth of resources as I did for Algebra I. Yet despite these setbacks, I've created a number of new lesson ideas, games and projects this year in both courses. I had a much harder time coming up with ideas for Algebra II, as I have not deconstructed and planned out the clearest explanations for the much more complex concepts I have to teach. I'm starting to feel comfortable in breaking things down now, and building interesting projects and games around the topics. See #1 & #3 above. There's still much more to come in both subjects, as I feel my creative juices are flowing quite well these days. I get so much satisfaction when I hear from readers that they used my idea in class or that it inspired them to create something. Keep improving your teaching, no matter how long you've been doing it. Last week, I discussed my five biggest failures this year. This week, I will strike a balance by focusing on my successes. Starting today and ending Saturday, I will share my five greatest successes as a teacher this year. I tried and failed to do both three years ago, enduring a seemingly endless string of interviews and sample lessons at charter schools in cities up and down the East Coast. It was extremely disconcerting to make it through the initial interviews, be invited to visit and perform a sample lesson, and not be offered a single job over the course of about six months. I had thought I was a good teacher, but the process left me doubting myself like never before. In the end, I stayed in the Rio Grande Valley and had no regrets. When the opportunity to accomplish these goals came last year, I jumped at the chance. Living in the city, for all its financial challenges, was exactly what I had hoped. I can tell you I don't miss the stress of driving. As slow and unreliable as the MBTA is, I have thoroughly enjoyed being able to read and relax while someone else takes me to and from work. My health has benefited from walking everywhere. Most importantly, I'm learned to live with less and tons of new ways to save money (out of necessity). Working at a charter school has afforded me a genuine freedom I could never have in a traditional public school. Our extended school day and year has allowed me to cover more topics in a much greater depth, and in general I think my students have done very well. I've been free of the pressure of testing madness and had hours of uninterrupted planning time each day. Besides my core classes, I've been able to design and teach three elective courses: SAT Math Prep, Sports Statistics, and now Web Design & Content. Needless to say, this was an impossibility at my old public school. These two goals are things I'm glad I got to do now, while I had the flexibility to move without any major restrictions. I know that they would have tortured me had I put them off any longer. That alone is a major success. Be specific about your goals, then do what you gotta do to make them happen! This week's entry comes all the way from South Korea, where Lauren Teather teaches 6th grade math and science. Lauren brings vast international experience, having taught in Egypt, Ghana, and Zimbabwe before making her way to the city of Seoul. I think a key component to successful teaching is to be absolutely transparent in your expectations. That might seem obvious to some, but it's not as easy to do as it sounds. I teach at a Christian school and work with a small group of 6th grade girls once a week after school in a discipleship group. One thing these girls frequently open up to me about is their anxiety about assessments, specifically regarding unclear expectations. In my math class I've been taking questions right from the test, changing the format or the numbers, so that they're being asked to show the same skills or knowledge, and breaking those questions into "checkpoints", which I give them periodically and do not grade (so there's no pressure), but have the kids mark themselves in class, so they get immediate feedback on how their doing. I collect them and look them over so I can get an idea of how to differentiate lessons, but pass them back to the students when I'm finished. However this manifests itself in your classroom, transparency of expectations is essential. It's only fair to inform the students what they are expected to learn, rather than holding them accountable for absolutely every tidbit that was covered in a particular unit. Read more about this project here or add the 52 teachers 52 lessons tag to your favorites. Email your entries to teachforeverATgmailDOTcom. Week 10 will be posted next Monday, March 30th. Looking for new lesson plans to implement in the classroom? Here are 40 sites that offer free lesson plans for teachers. Teachers.Net - With more than 4,000 lesson plans in every grade level imaginable, this site is one of the best places to find free lesson plans online. LessonPlansPage.com - Hot Chalk's Lesson Plan Page offers more than 3,500 lesson plans, including seasonal plans, science experiments, and math worksheets. Teachnology - This online teacher's resource has nearly 30,000 free lesson plans in their lessons plan center. Education World - Known as the "educator's best friend," Education World hosts thousands of teacher-submitted lesson plans grouped by subject. Daily Lesson Plan - The New York Times Learning Network and Teacher Connections have teamed up to create a lesson plan site for middle school and high school teachers. A new lesson plan is added each day. PBS Teachers - PBS provides many great resources for teachers, including standards-based resources and lesson plans. Discovery Education - Discovery Education's Lesson Plan Library is a great place to find free lesson plans online. The site offers lesson plans for grades K thru 12 in a wide range of subjects. Scholastic - Teachers can get timely lesson plans and units from this Scholastic site. Thinkfinity - This site, created by the Verizon Foundation, offers many free educational resources, including free lesson plans and interactives. Microsoft - The free lesson plans available through the Microsoft site cover more than just computers and technology. There are lesson plans for a wide range of subjects and grade levels. Teachers Network - The Teacher's Network is a good place to find comprehensive lesson plans created by new and veteran teachers. Elementary Education - This About.com site hosts hundreds of free lesson plans and activities for elementary school teachers. Secondary Education - This site, also from About.com, offers hundreds of free lesson plans and lesson plan resources for teachers of grades 7 thru 12. Education Place - Houghton Mifflin Harcourt offers textbook support materials and lesson plans for K thru 6 teachers on their website. EdHelper - Teachers can get lesson plans, create puzzles, and sign up for a free newsletter on EdHelper. A to Z Teacher Stuff - This teacher-created site is aimed at busy teachers who want to find online resources quickly. The site links to thousands of lesson plans, worksheets, and printables. Lesson Planz - Lesson Planz in a searchable directory of free online lesson plans. The directory includes resources for all subjects and grade levels. Lesson Plans and Teaching Strategies - This California State University site offers an orderly list of free lesson plans and activities for K thru12 teachers in addition to several articles on teaching strategies. Teachnet.com - This site offers a modest collection of free lesson plans for art, science, math, music, health, and social studies teachers. Sites For Teachers - This web directory lists hundreds of quality sites for teachers, including sites that offer free lesson plans. KinderArt - KinderArt has the largest collection of free arts and crafts lesson plans on the web. PrincetonOnline - The Incredible @rt Department at Princeton Online has developed an entire section of art lesson plans for students of all ages. Core Knowledge - This site hosts art and music lesson plans for elementary and middle school students. ArtsEdge - This Kennedy Center website has nearly 500 free lesson plans for music teachers. Lessons cover grades K thru 12. Rock & Roll Library - The Rock & Roll Library offers eighteen comprehensive music lessons that can be used in the classroom. Illuminations - This site is a great place to find free lesson plans and resources for teaching math. Illuminations offers more than 500 lessons in all. Columbia Education Center - CEC's no-frills website offers dozens of free mathematics lesson plans sorted by grade level. Math-Drills.com - This site doesn't have lesson plans, but it does offer more than 6,000 free math worksheets with answer keys. GirlTECH - Designed by GirlTECH teachers, these lesson plans cover math, science, and technology. Lessons are available for grades K thru 12. The Center for Science Education - This CSE site hosts a nice collection of teacher-developed earth and space science lessons for grades 3 thru 12. Read Write Think - This International Reading Association site provides hundreds of high quality reading lessons for grades K thru 12. CanTeach - CanTeach offers a modest collection of lesson plans designed for students who are beginning reading and writing. SCORE - The California Schools Online Resources for Education (SCORE) provides thousands of literature lesson plans. LitPlans.com - Designed specifically for middle school and high school teachers, this site lists literature lesson plans, unit plans, study guides, teacher guides, and more. EDSITEment - This site hosts a wide range of foreign language lesson plans, including plans for teachers of French, German, Spanish, Italian, Latin, Greek, Japanese, and Russian. English as a Second Language - This About.com site has English lesson plans for all learning levels as well as other ESL resources. Using English - Using English offers nearly 200 free PDF lesson plans and handouts for ESL and EFL teachers. The Internet TESL Journal - This site has hundreds of lessons for ESL teachers. Lessons cover a wide range of subjects, including grammar, reading, writing, and vocabulary. ESL Galaxy - With nearly 3,000 free worksheets and lessons as well as other resources, ESL Galaxy is a great online resource for ESL teachers. TEFL.net - TEFL.net offers free lesson plans, worksheets, and a worksheet generator. Other resources include activity ideas and teaching tips. Guest post from Karen Schweitzer who is a writer for TeacherDegree.org, a site that specializes in teaching degree information. This is part of a two week series on my five biggest failures and five biggest successes as a teacher this year. This marks the end of the first half of the series. "On Success" will begin on Tuesday, March 24th and continue through Saturday, March 28th. Of the many failures I've had this year, the worst is something I've yet to conquer over six years of teaching. I still take everything too personally. I care deeply about this profession and the job I do. I am so invested in what goes on in the classroom that when a student is not as invested as I am--or not invested at all--I can't shake the feeling that it's a personal shot at me. I think I wear my heart on my sleeve--it's pretty obvious to anyone who's been in my classroom for a few days that I put a lot of work into what I do and I really do care that my students learn something valuable. I don't shake things off easily. If something bad happens, it takes me a while to shrug it off. I'll carry the frustration with one bad class or incident into the next period, which just makes things worse. I'm not good at hiding my feelings, so my most attentive students quickly pick up on what's going on and it affects them. Of course, this just makes me more frustrated, and I just try to focus on the work. Poor sleep or lack of sleep affected my mood and focus. I don't like to admit it, but I'm well aware of how much or little sleep I get can determine the course of a day. Unfortunately I'm still working on getting more quality hours of sleep. Everything I've written about this week. I know I'm made huge strides over my career in terms of taking things less personally, but I've still got a long way to go. I don't know what it will take to get past this--or if I'll ever get past it. I just hope I keep trying to get better. Don't take anything personally, even if it's meant that way. My sister asked me this past weekend: "Are you going to make things easy on yourself and actually teach the same thing next year?" I argued that I had been teaching Algebra I for four years, with occasional forays into other areas (especially this year). Nevertheless, it made me reflect back on how difficult it had been to teach a full Algebra II class for the first time this year. In Texas, Algebra II wouldn't be much different than Algebra I because the standardized test (the TAKS) forces teachers to spend a lot of time reteaching the same concepts students were taught the year before. I haven't taught a great deal of the material before--in some cases, I haven't done the problems since I was in high school. There were times when I felt like a first year teacher again in this situation. Having no experience with teaching these concepts means that I didn't have a wide range of engaging, innovative strategies prepared. My resource books didn't push far beyond basic Algebra and I didn't have an exhaustive list of online resources that covered topics like these. Sometimes it was an exhilarating challenge, but mostly it resulted in me beating myself up for perceived incompetence. Frankly, I taught a lot of topics very poorly. I spent a lot of time fumbling through lessons, realizing I had left something important out or failed to notice a simple way to explain a difficult concept until after I had done so in the most difficult way possible. There have been many days where I've to reteach something from scratch, telling students to basically forget what I said previously. It's embarrassing. I've held back some of my brightest, most advanced students. There are some kids who are ready for Pre-Calculus if not AP-level work, but my lack of familiarity with the material makes it hard for me to prepare something ahead of time. It took most of the year for me to settle into this role to a point where I'm confident that I'm preparing students for college level mathematics. I can't shake the idea that if I had some time to sit down and design the kind of activities I'm known for, I'd love to go back and try again from the beginning. Teaching a new subject is an incredible challenge no matter how much experience you have. The one skill I've prided myself on over the years has been my ability to connect with students and build strong relationships with them. It's one of the reasons I started this blog, and the thing that keeps me going through the many, many difficult times. Unfortunately I feel like I've never been less successful at building relationships than I have this year. It was sincerely heartbreaking and depressing that by mid-year, I couldn't name a single student that I had made that kind of connection with that makes this job so worth it. Even now, after making some significant adjustments, I can probably count on one hand the students for whom I make a difference in their lives (and vice versa). I think one major reason is that I forgot how good I am at one-on-one conversations. I am very frank and honest with students most of the time, partly because I'm not very good at hiding my emotions but mainly because my students respond to it so positively. This quality allows me to pull a student aside and level with them in a way some teachers just can't do. I don't claim to have some sort of special charm or magic words that get students on my side--it's just that my good intentions are just so plainly obvious that you'd have to be more stubborn than I can be in order to ignore them successfully. I can't tell you how many times I've cringed at a well-meaning teacher engaging in the most blatantly patronizing teacher-speak you can imagine with a student they truly cared about and wanted to help. You can see the pain on the students' face, their eyes literally or figuratively rolling back in their head as if this was indeed killing them as much as it was killing me. What I did wrong this year is that while I didn't abandon my honesty and general manner of speaking to students, I didn't pull students aside for the effective one-on-one conversations that helped me build so many solid relationships quickly. There were so many times where I told myself, "If I could only get a few uninterrupted minutes with this kid, I can turn our relationship around..." only to let myself be carried away by various other concerns we teachers deal with every day. This is a major failure because the student population at my school absolutely, positively needs this kind of intervention more than most schools. It's more difficult than it has been with any group I've encountered, as many of these students are so hostile to and disconnected from what we're trying to do that it would be easy for us to throw in the towel. I'm disappointed in myself, because to some extent I feel like I had thrown in the towel for most of the year before yanking it back at the last moment (but still have it ready to throw in again at a moment's notice). Building strong student-teacher relationships is what really makes a difference in students' lives--and yours as well. This is the first part of a two week series where I will discuss my five biggest failures and five biggest successes as a teacher this year. I'm ashamed to admit this, but sometimes I fail to follow my own advice. You will find few bigger advocates for well organized classrooms than yours truly. Yet perhaps my biggest failure this year has been to abandon many of my most tried-and-true systems and procedures, and each omission has had far reaching consequences. I have used my own version of the Interactive Student Notebook since I began teaching. Notebooks are highly organized with numbered, dated and titled pages. Building up to, responding to and creating things for the notebook is a central part of each class period. It makes it easier for students to follow challenging topics by having everything in one place. If students are absent, they can get notes and assignments from my "master" notebook . Studying for tests is as easy as saying, "The test covers everything we did from pages 10-20." I basically made notebooks an afterthought this year, when my current students needed that structure more than any group I've had before. Attendance is sporadic, and even many of those that come to class regularly are completely unorganized. My shelves are now full of dust-covered, rarely used notebooks. Most importantly, it made getting class started excruciatingly difficult. I didn't abandon the Do Now, but I failed to hold my students accountable for it until recently. In years past, students had the first five minutes after the bell to complete it. I would then check it for completion, with each student receiving either a check (100) or zero each day (this would be tallied into part of their grade). Afterward we would go over the question together, and it would lead directly into whatever I was teaching that day. The result of me not checking it for the first half of the year was that I got incredibly frustrated at how difficult it was to get class started every day. Nobody did the Do Now, so students had no idea what I was talking about when I attempted to go over it. Since this was the logical lead-in to the rest of the lesson, we were doomed from the start. I wish I had a good explanation for why I didn't do it, but there's no excuse for it. My best proof of how important this is is that as soon as I went back to holding my kids accountable for the Do Now, I immediately saw an improvement across the board. 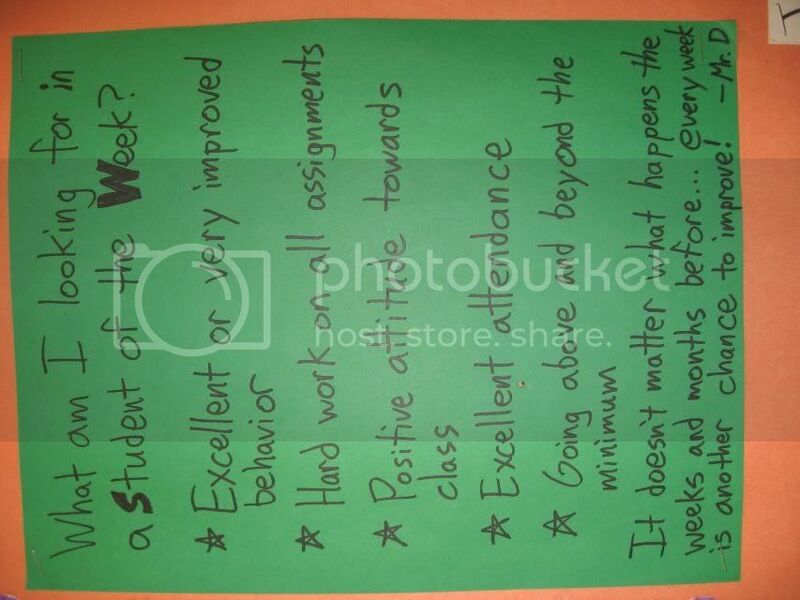 I don't know where the idea came from, but recognizing a Student of the Week for each class period has been a standard part of my classroom since I started. It's designed to recognize an extraordinary effort, huge improvement or consistent excellence either academically or behaviorally. There was no tangible reward attached to this honor, although I did usually drop the lowest grade for students who achieved it in a given grading period. I could tell you that students were very much interested in getting it and extremely excited about receiving it. One reason I abandoned it this year was that my school has weekly community meetings in which students, teachers and staff give each other beads to recognize the same kind of things I would normally recognize in a Student of the Week. Of course, I quickly realized that I wouldn't be able to recognize all of the students I wanted to, but it just became something else that fell by the wayside. I could make an excuse about how awful behavior was across the board early in the year, but that's exactly why I needed to recognize the students who were doing a great job. It's one of my single biggest regrets. I've been trying to keep up with what's going on in the world of education lately, but reading too much of it can just make me feel angry and impotent. Every time I read an article about how I should be engaging every learner, I get a little more angry. Cumulatively, this makes me a very angry person. I believe my contract requires me to provide an opportunity for every student to learn. You may choose to ignore when opportunity knocks. It is not realistic to expect me to cajole you into opening the door, or bust the door down or even sneak through a window. It takes a tremendous amount of energy to engage most of the class. It takes superhuman energy to engage every student in the class. I can pull that off for an hour or so, but then I'm worn out and I yell at all the rest of my classes. I find that when I focus on trying to engage that one difficult child, I am forced to ignore 10 other students actively seeking my attention and help understanding a concept. This makes the children in my class angry and frustrated. They yell things like "I WANT your help. Why don't you just leave him alone. He never does his work. " This is sad for many reasons. Because I want to help the kids who want to learn. My energy is well spent that way and shows immediate results, re-energizes me, and encourages a student. Because I worry about children who never do any work, especially that they are teased by peers or perceived by classmates as inferior. Because I want to help both and I can't. That makes me feel like an incompetent teacher because the media has convinced me that I should be able to help them all-- simultaneously. That is not possible. Read that again, America. It is not possible to engage every student all of the time. So, here's what I try to do. I try to engage most of the students most of the time. I try to make sure that I help you proportional to the amount you help yourself. If you show effort (at all) I will put more effort into you. If you show no effort, I will not ignore you, but I will not ignore an engaged student to convert one. A bird in the hand is worth two in the bush. I try to make sure that there is an activity/project that will engage every child at some point in the school year. They won't like them all, but they will all like something. Whether you agree or disagree, here is a nugget of truth amidst a blog of emotion -- I am trying my best to help everyone. What can America do to make it better? Fund more assistant teachers. If I had an assistant to answer those other questions ('Did I do this one right?' ' Aren't you supposed to subtract on this one?' 'Is my answer supposed to be a decimal, etc. etc. etc. ) I could answer the unasked questions like "Why don't I get this?" " Why should I care about this stuff?" and most importantly "Does anybody care?" Read more about this project here or add the 52 teachers 52 lessons tag to your favorites. Email your entries to teachforeverATgmailDOTcom. Week 10 will be posted next Monday, March 23rd. While perusing the documentary DVD section at the Boston Public Library last week, I found several discs from a series called Life by the Numbers . I hadn't heard of it, but as I'm always looking for resources, I picked what looked like the most interesting one to check out. The third disc in the series is called Patterns in Nature: Biology and as I've been reading a lot about the mathematics we don't get to teach in school, my interest was piqued. Life by the Numbers is a 2006 miniseries funded by the National Science Foundation and narrated by Danny Glover. Each episode is about an hour and focuses on how numbers play into some specific part of the world around us. Let's get down to it: I think this particular video has some great moments that could be helpful in the classroom. In particular, the first segment explains and illustrates what happens to the surface area and volume when you increase the size of a given object, in an easy-to-understand way I hadn't thought of doing. This was always one of those ideas that seemed out of place in Algebra I, but nonetheless was on every standardized test. I've used hands-on lessons and major projects that resulted in fantastic student work, but we still struggled with the issue on the big test. That segment alone makes this disc worth it for me. The video has a lot of cheesy music and computer animation that would make the people at Pixar cry, making it seem like it was produced in 1986 rather than 2006, but that seems to be the rule for educational programs rather than the exception. There are some slow moments or less-than-exciting scientists that make things tedious. Thus I couldn't recommend that you show the whole video or anything more than short clips of the best moments. For example, one other highlight I wanted to mention was a segment about scientists using knot theory (which up until recently had no practical use whatsoever, an idea our students will sympathize with) to figure out how viruses work and eventually help cure diseases. This is the same idea that lead to the creation of Foldit, the computer puzzle game where users fold and twist proteins, and in doing so help University of Washington scientists fight the good fight. Ideally, I would show the segment and then have students play the game afterward to give a real world math connection they would appreciate. I'm curious to see the rest of the series, as I think there's enough good stuff in this disc to believe that there's more potential classroom uses in the others. If anyone has seen more of Life by the Numbers , please share your thoughts in the comments. In addition, if you can recommend other, similar programs, I (and many others) will be very grateful. Recently I alerted you to a growing crisis in our schools: the oppression of educational t-shirts! Teachers, the freedom to innovate must never be stifled, and we must fight for this freedom where it matters most: on our torsos! This week, the campaign to fix our nation's education problems continues with another sampling of essential teacher resources, this time from I Want to Teach Forever-approved vendor The Cotton Factory. Remember: You can make a difference! First, you can create some true number sense among your students with "Without You I'm Nothing," where a lonely zero tells his loved one, two and three (among others) what he really feels about them. Mr. D owns this very shirt, so you know you can count on it! If all else fails, you can always remind your students about the power of Pi. The Cotton Factory makes it easy for Geography and US History teachers as well: they have a 50 states page which contains shirts honoring interesting towns in each state, and even groups them conveniently into 13 colonies or confederate states packs (among others). More importantly,can remind your students exactly who's #1 around your classroom! For the English Language Arts Department, you can either celebrate grammar champs or, if an intervention is sorely needed, declare yourselves as grammar police. Either way, grammar wins! If we're really going to make headway in changing education for the better, we have to start with the messages we display for all to see. Perhaps your educational t-shirt won't be seen by every student. Yet if it affects even one student, isn't that a shirt worth wearing? Viva la Cotton Factory! Viva la t-shirts! My recent post, Call for Help: How Do We Get Boys to Respect The Restroom?, is featured in The Cornerstone Accolades: February 2009. Angela Powell, author of The Cornerstone and the accompanying blog, declared it the "Most Brutally Honest Topic" of the month. 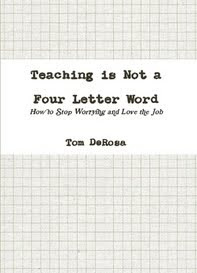 Of the many great posts she highlighted, it was the "Best Post on Teacher Burn-Out" that intrigued me the most: What Happens When Overburdening Teachers Succeeds? from Thoughts on Education Policy. This is an issue I worried about before starting at a charter school, and now I understand why there's such an insane turnover rate. I probably think about it more often than most because the lack of consistency in the faculty and staff is uniquely damaging at my school. Most of our students have had incredibly tumultuous home lives or a distinct lack of encouragement and support from anyone, making the strong teacher-student relationships we try to build that much more important than your average school. It's not a stretch to say that these relationships are one of the few things that get students to come to school at all. Unfortunately, there's been a proverbial revolving door for faculty over the first few years of the school's existence. I can't recall a week that's gone by where students who've been around since the beginning haven't lamented all of the teachers that have left them. They're no more optimistic about this year's larger, incredibly talented staff: it's no secret they expect all of the teachers to leave at the end of the year. The time commitment, in terms of the school day and school year, is I think much more than most of us are actually prepared for. I am one of those teachers who was doing 10-12 hour days when it wasn't required, but the longer school year is much harder than I anticipated. I also forgot how challenging it is to not really be able to take a day off: at most charter schools there are no substitutes, so everybody has to cover for you. Thus you feel bad for shifting the burden onto your equally stressed colleagues, and avoid sick days like the plague (pun very much intended). Having worked in a small school earlier in my career, I was used to the idea of wearing many hats during the school day (driving kids to and from school, mopping floors, serving meals and breaking up fights). That being said, it's never easy to take on more responsibility outside of teaching. Many of the support staff you might take for granted aren't available because charter schools can't afford them. When you're called upon, the "it's not my job" cop-out doesn't fly here. If you don't do it, nobody else will, so you just roll up your sleeves and get to work. Inside the classroom, you're held to a higher standard than ever before. Classroom management systems are stricter and more consistent throughout the campus. You have more thorough documentation, tracking, grading systems, differentiation, and lesson planning than ever before. You're probably aiming at huge gains in standardized test scores, perhaps adding even more pressure than you'd expect at most traditional public schools. Finally, you're facing much closer scrutiny from state agencies who seem all too eager to find reasons to pull the plug on promising schools. It's a lot to put on yourself. On top of everything, you're almost always doing more work for significantly lower pay. Considering how criminally underpaid your average public school teacher is, taking a charter school position is absolutely brutal. I'm barely scraping by on a salary that can't compete with the Boston Public Schools scale, and I find myself constantly wondering if I'll have enough to cover the bills any given month. There's more, but these four issues alone are enough to keep many good teachers away in the first place. I feel like charter schools will face a teacher shortage even greater than traditional public schools are facing within the next 5-10 years. It's something that those who start schools need to consider very, very carefully.